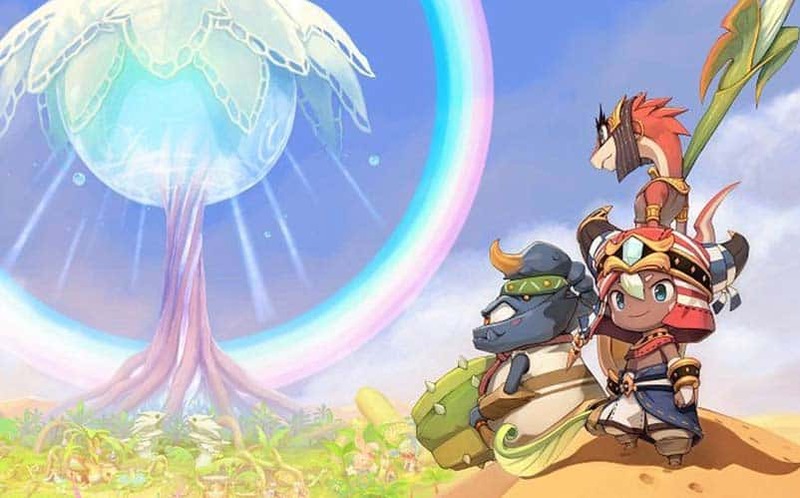 WATCH: Ever Oasis Trailer | Nerd Much? Everyone was under the impression that Nintendo’s only offerings at E3 would be The Legend of Zelda and Pokémon; however, they managed to surprise us today by announcing Ever Oasis, a brand new IP coming to the 3DS. They have been teasing a new RPG for the handheld console for a while, and now it’s official. It’s currently in development at Grezzo, which is known for portable Zelda titles such as Ocarina of Time 3D, Majora’s Mask 3D, and Tri-Force Heroes; the director is none other than Koichi Ishii of Final Fantasy and Heroes of Mana fame. The action-adventure RPG is about a character named Tethu (players can choose Tethu’s gender), who constructs an oasis town in the middle of the desert and must venture out to collect resources to construct shops and other buildings. It looks to be sort of a cross between The Legend of Zelda and Animal Crossing. The player can party with travelers that wander into the town and go on adventures to find dungeons, solve puzzles, and battle monsters. During combat, players can switch between party members to take advantage of their various abilities. There is also a day/night cycle that will have notable effects on gameplay. So far, no release date or window has been given. We’ll keep you posted, though, so keep checking back. Check out more of the latest video game news here.